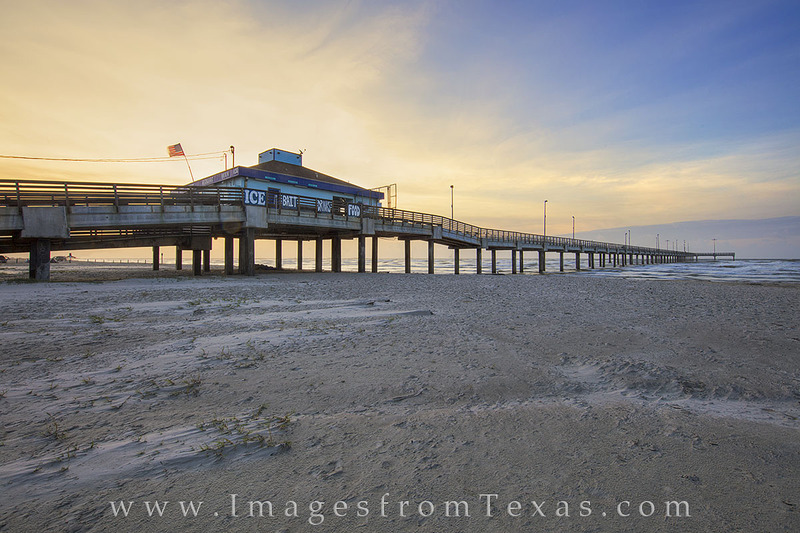 Horace Caldwell Pier on the beach at Port Aransas, Texas, stretches 1200 feet out into the Gulf of Mexico. This platform allows folks to enjoy the view from on top of the ocean, as well as for angler to practice thier sport. Photo © copyright by Rob Greebon.